A sinister society of sorceress’ has plagued Plano, feeding fear for four years, with no stopping in sight. These creepy crones convene to create their craft at Coven Manor, located within the 30,000 square foot haunted attraction known to Texans as Dark Hour. 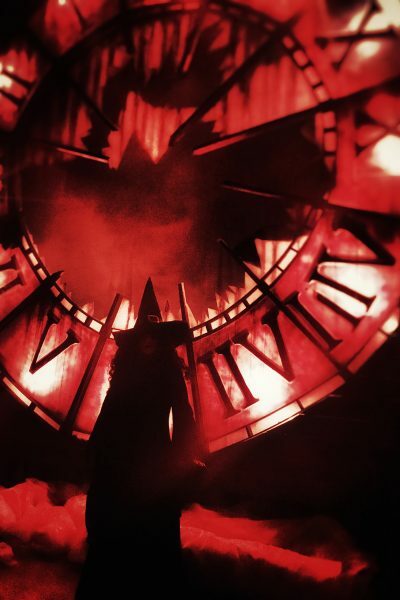 Dark Hour began to terrorize Texas in the fall of 2013. They’ve not only been bringing their brand of boo for Halloween, but the wicked witches of this ghoulish group vie for control of the other holidays of the year as well. 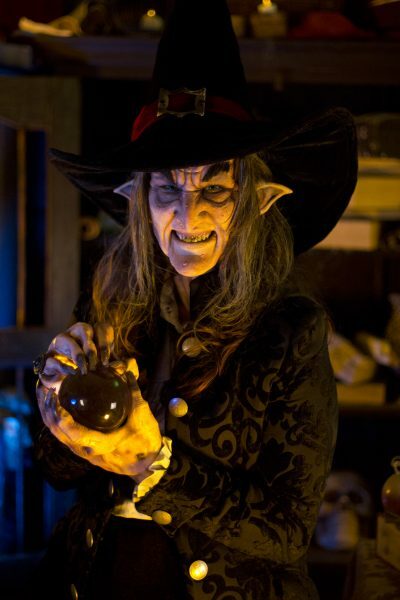 Inside the magic invites you creep closer to the cauldron as we pull back the veil on this high quality haunted attraction. Dark Hour is a located just north of Dallas, in Plano, Texas. 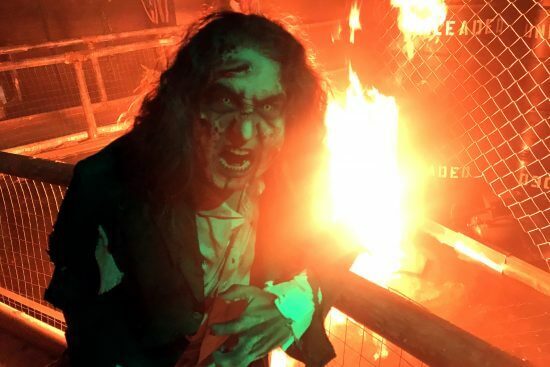 Amazing animatronics, movie quality sets, professional theater lighting, eerie and effective sounds, skilled scaractors trained in terrifying (many with years of experience), and deliciously dark detail deliver devilish delights at this high quality haunt. 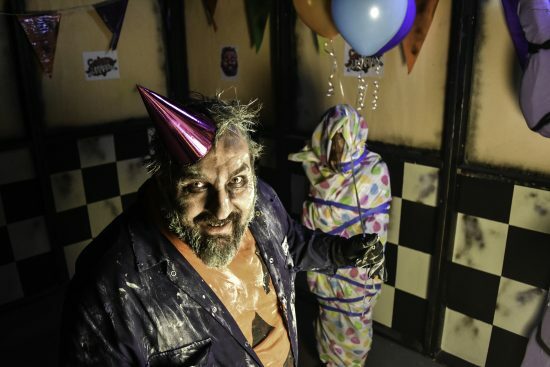 Located in a former big box retail location, this impressive and immersive haunted attraction takes full advantage of their huge venue to offer two completely different experiences Dark Hour Haunted House and Carl’s Playhouse. Dark Hour Haunted House is the primary den of darkness where the witches work their wicked wonders. This haunt operates seasonally, EVERY season. Because only one witch in the coven of 13 can control the haunt at a time, these hags of horror take turns haunting several spooky seasons each year. This coven of carline creatures harbors horrors from all walks of fear. Each of these evil enchantresses is eager to exact her hold on the haunt. Taking turns at terrorizing the shattered village, former home of Coven Manor’s servant, and the realm within the Dark Hour, these dark hearted harpies hold holidays from across the calendar hostage in their bid for power. Frosne Wintergreen, The Ice Witch commands droves of evil elves, naughty children, and the dreaded Krampus… all of whom take over during Dark Hour’s Wreck The Hallsshow in December. Giselle Scuro, youngest of the witches, had her heart broken by a mortal man and in a fit of rage cast a spell of darkness across the countryside. If she would have to live with darkness in her heart, then everyone else will have to face the terrors of total darkness during Love Is Blindin February. Shannon McKenna summons up giants, evil fairies, and Leprechauns of her Irish homeland. These menacing monsters infest the Manor each March during Saint Patrick’s Slay Weekend. Vera Blight, the witch of Contagion prefers to fight the human race with their own kind, plaguing the earth with armies of the undead which have been infected with her fever virus each April during Spring Fever. Baba Lupina, oldest of the coven, is a gypsy with a taste for human flesh. She sends a flurry of carnage across the countryside as her pack devours unwitting travelers under the light of the full moon. Dog Days of Summeris a hair raising event to round out the off season.